Fall is the perfect time to get a head start on the monarch season for next year. If you’d like to start preparing for spring the easy way, plant your perennial milkweed seeds (and plants) in the fall. Why is fall planting easier? Most milkweed requires a cold stratification process which helps your seeds to germinate. Old man winter takes care of this for you naturally by providing freezing temps outdoors. If your seeds don’t sprout as planned next spring, you can easily replace them with seeds or plants. If you plant bad seeds in spring, by the time you realize it, it may be to late to replant for that season. So plant seeds in fall, then make the necessary alterations next spring. 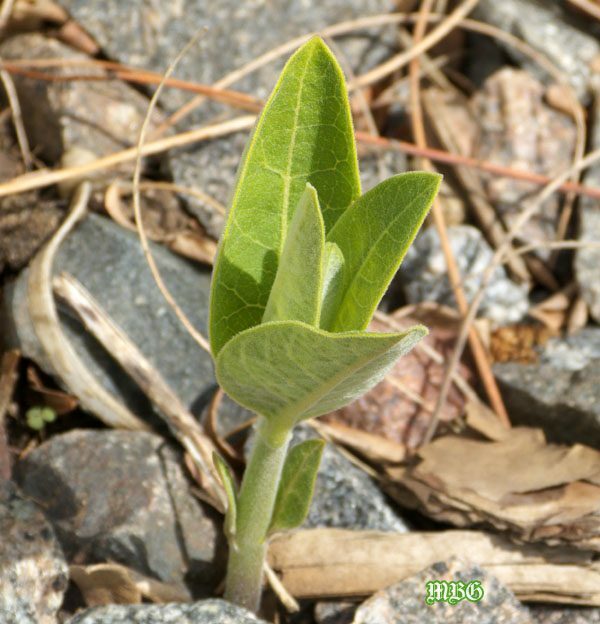 A compact, early blooming milkweed that supports spring monarchs. Host and nectar plant that prefers wetter soil. Ours thrives in partial sun. Seeds have a tendency to move around, so those who want to get their garden better-situated now can also buy plants. This will cost you a little more, but you won’t have to make ‘spring adjustments.’ Plants should be put in-ground upon arrival. Don’t plant annual milkweed (like tropical) in autumn, because it will die by the cold hand of Old Man Winter. Give potentially invasive varieties like common milkweed more room to grow…perhaps outside the garden? 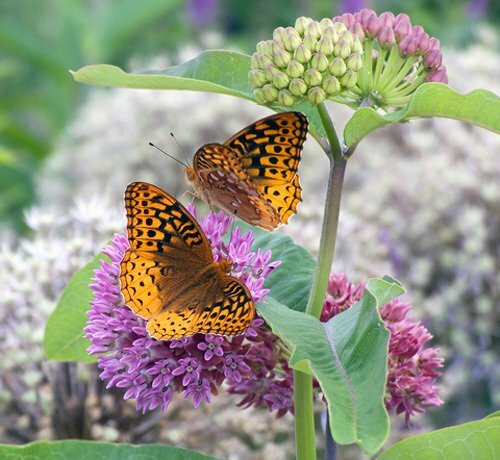 Those are 5 of the more popular milkweeds for butterfly gardens. There are many more you can try, but make sure they will grow in your region and research potential issues a species might have. I don’t always stick to native plant guidelines, but I always make informed planting decisions. I research every plant before I add it to the mix, to make sure it’s something than can succeed in my region, isn’t invasive, and won’t require more effort than I’m willing to put forth. Before planting perennial milkweed, learn what milkweeds are native to your region. Also, see if other milkweed species might be worth trying in your USDA hardiness zone. Garden experiments can be exciting…especially when they’re successful! Hi Tony! Love your weekly blog. I just came back from a week in Michigan. I collected a1-gallon zip close bag of Common MW pods. I’ve separate all seed from fluff tonight and stuck the bag in the fridge. Will Common even grow near Houston? I went on a “ditch ” MW expedition late June and we found Green Antelopehorn and Zizotes, but seeds are being stubborn. Any tips would be appreciated. Hi Kristi, I know some grow it successfully in north Texas, but not sure if it will thrive in your region…it never hurts to try. Maybe try a couple different microclimates of your yard to see what it prefers. You might try soaking seeds in water 24 hours before planting. This softens the seed coat and can speed up germination…you could experiment with cold moist stratification too. good luck! I’m a small person, and the distance from my fingertip to my first knuckle is one whole inch. 1/4 inch is the height of four quarters stacked on top of each other. So, not feeling confident about the depth in your directions. Do you really mean 1/4 inch, or do you mean 1 inch? Or more, because your hands are bound to be larger than mine? You say 6-10 is good per patch, but don’t really discuss the size of a “patch”. Would that be three feet square? Or larger? A milkweed came up in my flowerbed several years ago and I didn’t know what it was. I tried many times to dig it up thinking it was a weed, but it continues to come up. Now that I know what it is, I harvested seed pods from the spring bloom (only 2 blooms) and now it is blooming again, just one or two. It is not much of a bloom, just small green balls/buds that open to show 5 dots of purple around a center yellow dot. Would like to know the name and best time in fall for planting in Plano TX. I also have goldenrods that come up volunteer. They were in the root ball of a Cedar Elm I had planted. Any comments about goldenrods? Many people are violently allergic to goldenrod. If you are not, you might enjoy. I live in central Alabama and have about 50 butterfly milkweed plants growing in 1 gallon containers. They are 6 to 8 inches high now. Is it possible or even a good idea to overwinter them in the pots with the idea of having flowering plants growing in pots next spring. Do I need to do anything to keep the roots from freezing? If I decide to plant them instead, when should I do this? I have about 4 acres of pollinators growing now, so this is kind of a project. I also have about 30 pots of swamp milkweed. Would this species be suitable for growing in pots? I keep a space for wild flowers in Vermont, this year I had many milkweed. Usually by mid October I cut everything to the ground, will the milkweed flowers will come back in the spring ? Hi Claudine, if it’s a perennial milkweed for your region, it should. Good luck! 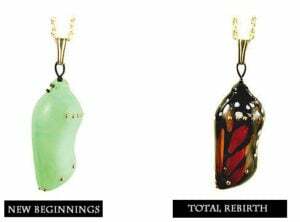 I am in Houston, TX and have been reading a lot about the monarchs since their decline. I love gardening and wanted to plant some milkweed in my backyard to support the effort. I found Tropical Milkweed at my local nursery and planted a half a dozen plants in a couple of pots since they are apparently not native here. I also read to cut them back in the fall. Is it too late to start native milkweed seeds in my area? Should I do that in the fall for next year? Hi Sarah, congrats on starting your new garden! 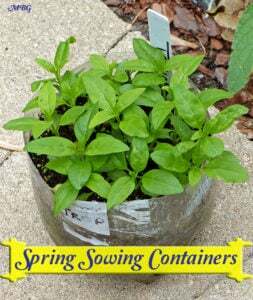 In warm weather regions, it usually works better to start seeds in the fall, winter, or early spring. That being said, the weather never does exactly what it’s supposed to, so you could have some success if you try now. I suggest talking to local gardeners in your region to see which native varieties they have the most success with. Whatever variety you choose, make sure to research propagation techniques for that specific species…good luck! I planted about 100 Common Milkweed seeds last fall around some train tracks that run through Chicago. I was extremely surprised to see that a bunch of them popped up this spring. When sowing the seeds I place 3 seeds in each hole. In a few cased all three took so I am wondering if I should divide them or let nature take it’s course? One more question is; A few of them are the size of the milkweed in your first picture. Do you think they will mature enough to flower this summer? Thanks! I just purchased some milkweed balls. I live in Michigan and it’s March. I read somewhere that the balls should be put in the freezer for 1 – 2 months before spring planting. Is this true or when should I plant the balls in Michigan? Thanks I am looking forward to helping the monarchs! I watched David Suzuki’s documentary on the Monarch’s and would like to plant about eight acres of milkweed. I am in Ontario, Canada near Ottawa and enjoy many butterflies including the Monarch because we have lots of indigenous Milkweed. Can I just take the seeds from the pods and plant them? Is there a Canadian government agency that supports a planting program in Ontario? Hi Garth, eight acres, that’s fantastic! I would contact the Suzuki Foundation to see if they could help you out or point you toward local resources to help with planting efforts. As long as your seeds get a cold stratification over the winter, they should be fine to plant in spring. Keep us posted on your progress! Where can I purchase the seeds? tks. you can just click on any of the green links at the bottom of each description to buy seeds or plants. Hi Brian, thanks for posting…your comments are much appreciated. As for cuttings, my next post will be about them. I’m trying a new system this year and will be cloning tropical milkweed and possible goose plant cuttings. Cuttings are MUCH easier to grow than seedlings and they won’t succumb to the elements like fragile seedlings. We had garden monarchs through October 1st and the majority of these late season monarchs preferred annual plants. After seeing what a combination of native/exotic plants can do, I can’t imagine sticking only to native…to each their own. Good luck with starting seeds indoors! It will give you a nice head start on the season. How do I know what kind of milkweed is best for our area of Central Texas? I planted the common Butterfly Milkweed with the yellow/orange flowers and they’ve done well. Very slow growers. Monarchs started showing up last 10 days. Female(s) depositing their eggs underneath the leaves. Haven’t seen any ‘cats’ yet. 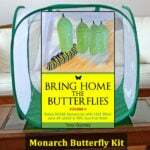 Is it too late to order monarch eggs for bringing inside? I ordered many different kinds of butterfly weed milk plants and this one was the only one that succeeded. Again, please recommend others that are good for this climate, zone 8 in Cen-Texas? A friend in MI send a many seed from her Joe Pye weed. When should I plant them? And will they do well here in Central Texas? 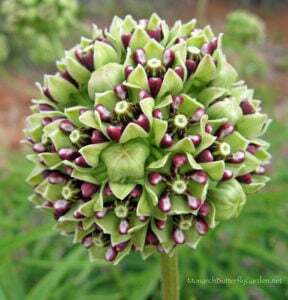 Hi Sheri, here is a list of texas milkweeds. Keep in mind that Asclepias curassavica (tropical milkweed) is not native and that some scientists suggests that growing it in places like Texas and Florida can disrupt the monarch migration. If you grow it, it’s probably best to cut it back to the ground in fall so the monarchs can’t use it. If you saw the female 10 days ago, her eggs should have hatched after about 4. So either those are newer eggs or they’re something else entirely, like aphids?